You can now regroup entities in entities groups, through out Benetl’s interface. This menu is frozen if you have no entity. 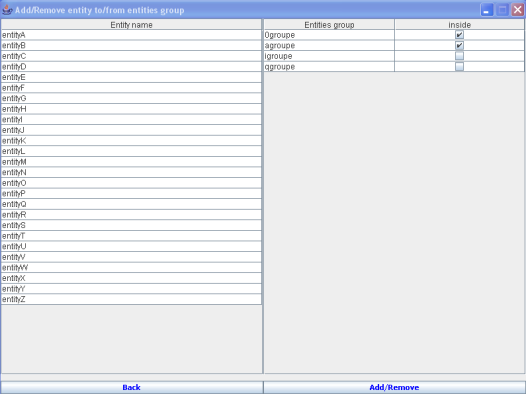 In the current screen you can add entity to entities groups or remove entity from entities groups. In order to do such task, you just have to click on an entity name, then will be able to check/uncheck entities groups this entity is bound to.